Note! Minimum quantity of 1 required. 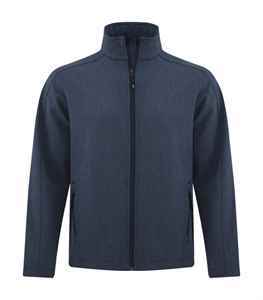 Stay warm as you brave the elements with this 100% polyester embroidered jacket featuring a breathable, wind and water resistant exterior. The Coal Harbour Everyday Soft Shell Jacket will keep you warm and comfortable as you brave the elements. Its 100% polyester exterior is breathable, wind and water resistant. 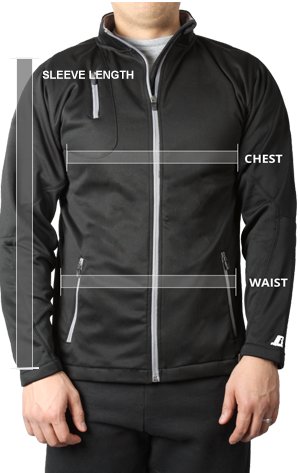 This custom jacket’s stretch fabric and full-length inner storm flap with chin guard will give you added comfort while its polyester micro fleece interior will keep your body warm. Double-needle topstitching throughout and anti-pill fabric makes this custom embroidered jacket a stylish and durable choice for fall. Measure around your waist at height you normally wear your pants. Measure length from centre back neck, over point of shoulder to wrist.